What you wear on your feet is integral to your productivity, especially when hiking. Deciding which hiking shoes to buy can be difficult as there are lots to choose from when making this important decision when they all have different features. Looking after your feet while you’re hiking will help to keep you going for longer. Your outdoor adventures will be much more enjoyable if you are wearing a pair of comfortable hiking shoes or boots. They will look after your feet, provide support and keep them warm and dry while still allowing them to breathe. Hiking shoes are built to last, and they will continue to take care of your feet if you take care of them. When adventuring outdoors, it is important to be prepared in order to get the best experience. Hiking shoes and boots are made of sturdier materials than regular trainers and give you the extra support and comfort needed for longer periods of time. View the Best Hiking Shoes for Women, Below. 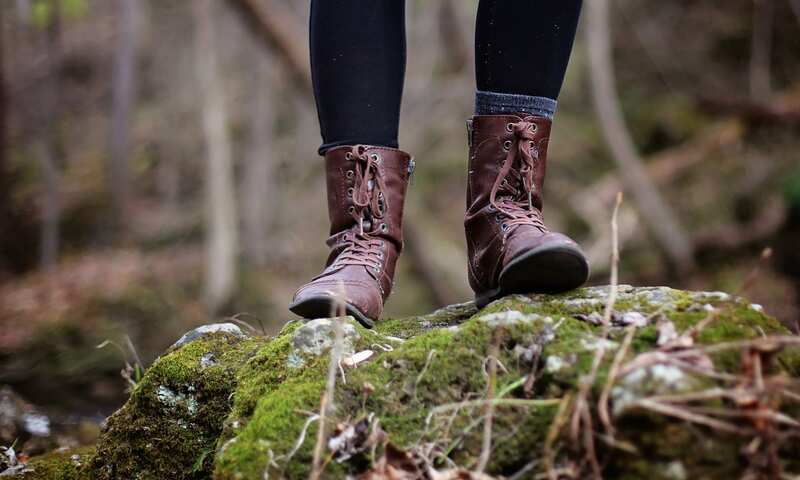 Because there are so many different types on the market, we have created a list of the best hiking shoes and boots available to make your decision easier. The Columbia Women’s Newton Ridge Plus is made from leather and suede, with an Omni-grip, non-marking traction rubber for great stability created from gum. The techlite lightweight midsole is designed for long-lasting comfort and includes deluxe cushioning for enhanced performance and energy return. They are waterproof and breathable for the best protection in all weather conditions and provide great ankle support. The materials used are high quality, and this is reflected in the appearance and feel of the boot. The D-ring metal eyelets, laces, and midsole traction give you support and comfort even on rocky and uneven terrain. They come in a choice of two colors. These hiking and walking boots are made with high-quality materials and are designed for comfort and protection on challenging surfaces. These Canadian boots are made from leather with a rubber sole. The imported Kodiak Women's Surry II Hiking Boot s are made with waterproof materials and a slip-resistant chevron rubber sole for comfort and grip. The waterproof membrane construction is also designed for further protection against the elements and the removable leather memory foam interior sole will keep your feet comfortable for longer. You don’t have to worry about getting cold with the 200gm ‘Thinsulate’ insulation used in these boots which makes them ideal for the colder weather. 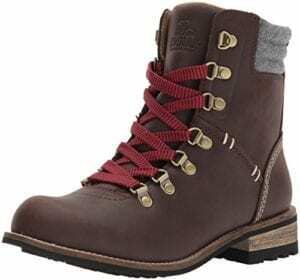 The boots have a microfiber lining and laces for sturdy support. The thinner materials add comfort and movability which are designed for both trails and urban settings. With 4 colors available and two types of laces, it is easy to customize your look with these diverse boots. These boots are great for everyday use as well as on trails which means you’ll definitely be able to get a lot of wear out of them. Their lightweight design and insulated materials mean you will be comfortable and warm no matter the weather. Mirrell Women’s Siren Edge Hiker shoes are a great alternative to boots, making them suitable for warmer weather and lighter trails. They are designed with an athletic style similar to trainers which means you don’t have to limit their wear only to hikes. They feature seamless upper overlays with color-pop webbing and ghillie laces for style and comfort. The breathable mesh lining will keep your feet cool on those warmer days and come in eight different colors to choose from, allowing for a more unique style. The bellows tongue stops mud and other debris from making its way into the shoe, and the Merrell M Select Fit Sco prevents your feet from sweating while protecting them from odors. They are great value and lightweight, perfect for those with a fast-paced lifestyle. These hiking shoes are great for warmer weather and an active lifestyle. They are made with light, breathable materials while protecting you against sweat and odors. 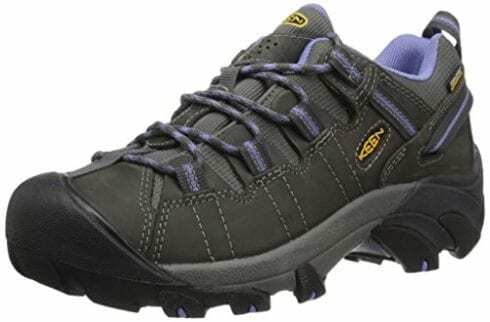 Keen Women’s Presidio Shoe s are designed for use in the outdoors while still keeping the appearance of a regular shoe. The sleek design is made from leather with a gum rubber sole for added grip, making them great for uneven surfaces. The materials are waterproof, and stains can be easily treated with the use of a gum eraser and brush when needed. These shoes are perfect for both streetwear and for trekking with their light, yet supportive frame. The lace-up design and cushioned footbed and collar offer the right amount of support and comfort for long walks. They contain Cleansport NXT technology for natural odor control, and the sole is made of rubber for excellent grip. These hiking shoes look like regular shoes which made them diverse and means you are able to wear them on an array of different occasions. They come in a selection of eight colors to choose from. 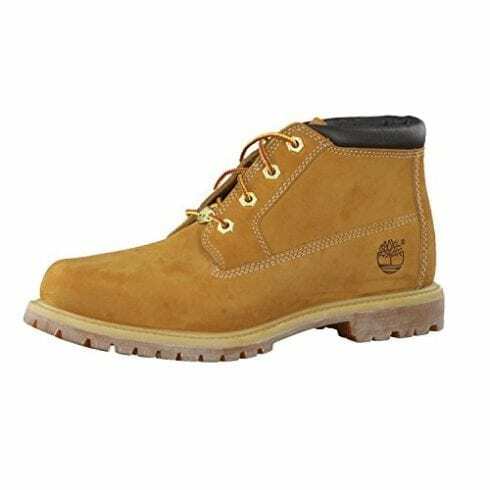 These Timberland Women’s Nellie Double Anke boots are a great alternative to the original Timberland boot. The lower ankle version not only look stylish, but they are made from high-quality waterproof leather with sealed seams for extra protection from moisture. The nubuck leather comes from a Leather Working Group Silver-Rated tannery, so you know you are buying premium products. With 13 different colors and designs to choose from, it is easy to display your originality, and there’s bound to be a color to suit your style. The lace-up design and padded collar give you ankle support, and the anti-fatigue technology gives long-lasting comfort. The all-day shock absorption and energy return will allow these boots to enhance your productivity without getting worn out. The durable leather outer sole is designed for grip and durability. 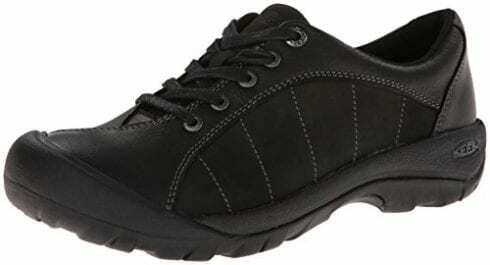 The Keen Women’s Targhee II low rise hiking shoes are also made with nubuck leather, waterproof materials and a 9mm heel height for a sturdy gripping sole. The torsion stability ESS shank provides support, with speed laces, a gum rubber sole and 4mm multi-directional lugs. These shoes are designed for off-road adventures and feature a removable footbed that quickly molds to the shape of your foot for comfort and support. The midsole is dual-density molded to keep your feet feeling good for longer. The leather and mesh upper is both breathable and durable, keeping your feet at the right temperature while protecting and supporting them. These hiking shoes are great for rough terrain on off-road adventures and will keep your feet cool in warmer temperatures. With waterproof technology, your feet will be protected from all elements. The Moab hiking boots are known for comfort and durability. The waterproof membrane and high-quality breathability make these top-of-the-range boots perfect for all conditions with enhanced protection against the elements. The boots feature bellows, closed-cell foam tongues to make sure moisture and debris don't come into the boot. The rubber cap on the toes will protect against scuffs, and general wear and tear and the breathable lining will help to reduce sweat and keep your feet cool. The added zonal arch and heel support adds comfort and increases stability on uneven terrains. 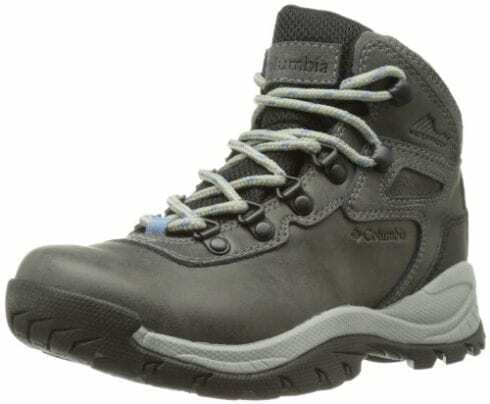 The boots are designed with the Merrell M Select trademarked FIT.ECO plus blended EVA technology for stability. Air cushions also add further stability and comfort with a 5mm lug depth and Vibram TC5+ sole. 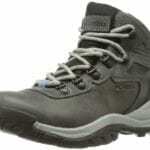 The enhanced features of these boots are designed for extreme support and comfort when trekking across rough terrain. The XPETI Thermador Mid High-Top hiking boots are specifically designed for trekking in mud and snow. The waterproof mesh upper allows feet to stay dry and remain at a comfortable temperature, featuring Hydroshield Membrane for advanced protection. The rubber toe cap and rubber outer sole gives extra grip and protects against scuffs. The sole is designed to grab rocks and provides good traction for walking on uneven terrains. The padded, molded TPU high ankle will provide increased support needed and is equipped with a moisture-wicking mesh lining to keep your feet extra dry and warm. They are insulated with 200 grams of Thinsulate designed for temperatures as low as -30 degrees Celsius with an integrated EVA midsole. Despite all this, they remain lightweight for easy walking on long distances and are incredibly durable. 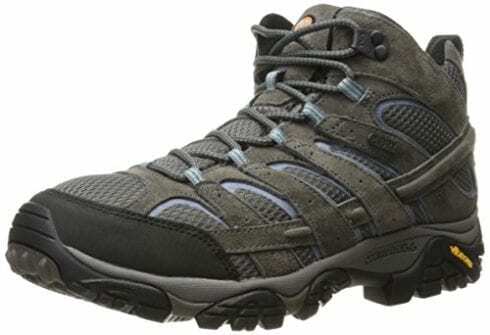 These boots are great for serious hikers and are suitable for extreme weather conditions. The innovative design technology still comes at a competitive price. The Merrell Women’s Moab 2 Hiking Shoe is a great alternative to their boot version for those that don’t need as much ankle support and for warmer weather while keeping all the benefits of the great design of the boots. The GORE-TEX waterproof membrane keeps your feet dry while allowing them to breathe and the bellows tongue keeps out moisture. The contoured footbed and zonal arch are designed for comfort and provide the support you need when walking across uneven surfaces to name just a few of the similar features. If you were tempted by the Merrell Women’s Moab 2 hiking boots but prefer a shoe, then these are the ones for you. With all the features of the boot version, these shoes are equipped with the best technology to support you on your adventures. 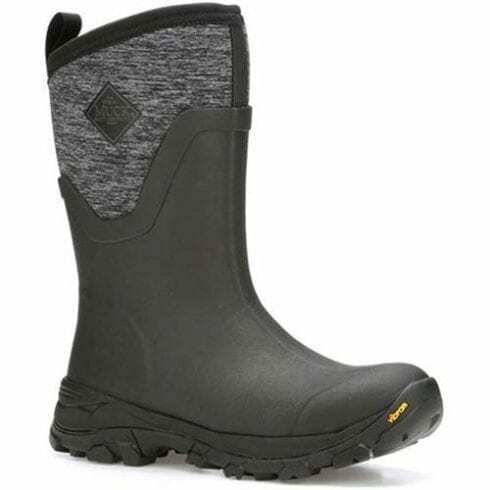 The Muck boot women’s winter boot is made with a rubber sole for comfort and grip with 5mm of neoprene which also enhances flexibility, adding to ease of walking. They are highly waterproof meaning they are the best boots for wet weather conditions. They come with shock absorption and heat retention properties to keep your feet warm. The fleece lining provides extra comfort and gives even more warmth in temperatures as low as -30 degrees Celsius. The lightweight EVA midsole provides cushioning to reduce impact long-term. The outer materials are made from high-grade rubber for durability in harsh weather conditions, and the outer sole provides traction while keeping dirt outside where it belongs. These boots are made from tough materials to provide lasting protection against harsh environments. This is one of the main decisions you will need to make when looking for a new pair of hiking boots. While natural leather often lasts longer and is naturally waterproof, it can take longer to wear in to become comfortable as they take longer to mold to your foot. That being said, once they have been worn in, you are more likely to get longer wear out of them, and they will eventually become incredibly comfortable when they have taken on the shape of your foot. The downside is that leather is heavier than synthetic material which means the added weight when walking is something to keep in mind. 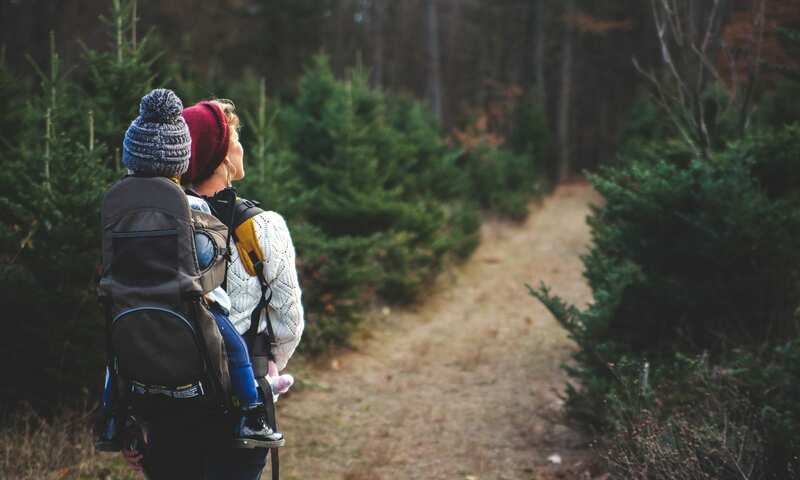 While this might not be a concern for some hikers, it can affect your experience and what is right for you depends on your fitness level and the kind of hikes you plan to do. Synthetic materials are lighter and more comfortable straight away, so if you are looking for instant comfort, this may be the way to go since there is no time needed to wear them in. The downside of synthetic boots is that they are often made of less durable materials, so depending on how you plan to use them, they probably won’t last as long. They also tend not to be as warm as leather boots. You will need to consider the climate you will be hiking in to know whether this will be an issue or not. The leather is great for winter and harsher weather environments with longer term wear, while synthetic boots are perfect for spring and summer, allowing you to be more agile and enjoy a lighter shoe. If you know what kind of hikes you will be going on, it is worth making a decision on whether you will need boots or shoes. Modern hiking shoes often use durable yet lightweight materials for the most enjoyable experience. Shoes are much lighter than boots, which can make your journey much easier. A shoe is better for day hikes and peak bagging, and are better for a faster pace, allowing for more agility. 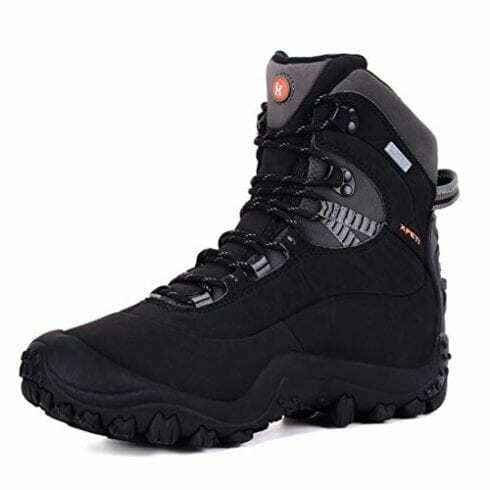 Boots, on the other hand, are great for the extra support they give to the ankle and are better for harsher terrains where you will need the extra comfort. They can often last longer and be more durable than shoes and are better for cold and wet weather hikes. Most hiking boots are waterproof, and it is likely that this will be an important feature in your decision making. Different materials vary in waterproof success and it is better to invest in a pair of hiking shoes or boots you can trust will do the job if you plan to hike in wetter climates. It is worth remembering that having wet feet is one of the most uncomfortable experiences when on long walks. The downside of this is that the extra layers can add to the weight, but this is often worth the extra protection. Boots with GORE-Tex technology works well to keep moisture out. Alternatively, if going in the water, you can try water shoes. This aspect of the shoe might not seem that important, but lacing styles can vary, and they have different levels of success in keeping your feet secure without loosening. 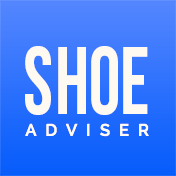 Not only can loose shoes lead to a lack of support on uneven surfaces, if your foot is loose inside the shoe it can rub, leading to blisters and make your experience unpleasant. Hooks can be convenient when putting your shoes on and taking them off as they undo more easily but are less secure. It can be common for hiking boots to vary in size to normal shoes. It is worth trying on your boots before you buy them and take along a pair of socks you think you’re likely to wear with them. This may not always be an option, so make sure you make sure to check specifications if you have wider feet or any other requirements. The best women’s hiking boots or shoes are always waterproof and include a breathable membrane that wicks away moisture to keep your feet dry and at the right temperature. 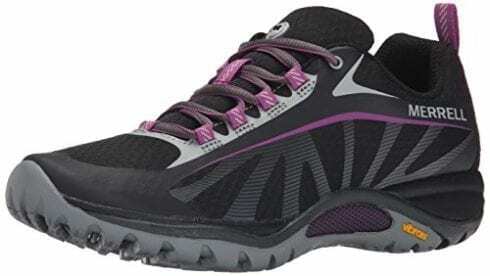 We hope you enjoyed our article on "10 Best Hiking Shoes for Women in 2019", if so, please share and rate it.